Saturdays are pajama days at my house. We love staying at home and doing nothing because all the rest of the days of the week, we’re running from one event to another. But once every couple of months, we have to get up early on a Saturday so I can attend a board meeting for Master Chorale of Flagstaff. It’s kind of a pain, because I don’t have time to make pancakes like I usually do, and I have to actually put on regular clothes and makeup and leave the comfort and safety of my home. So I’m a little grumpy about the meeting when I get there. And today was no exception. I started out with a bit of a bad attitude. 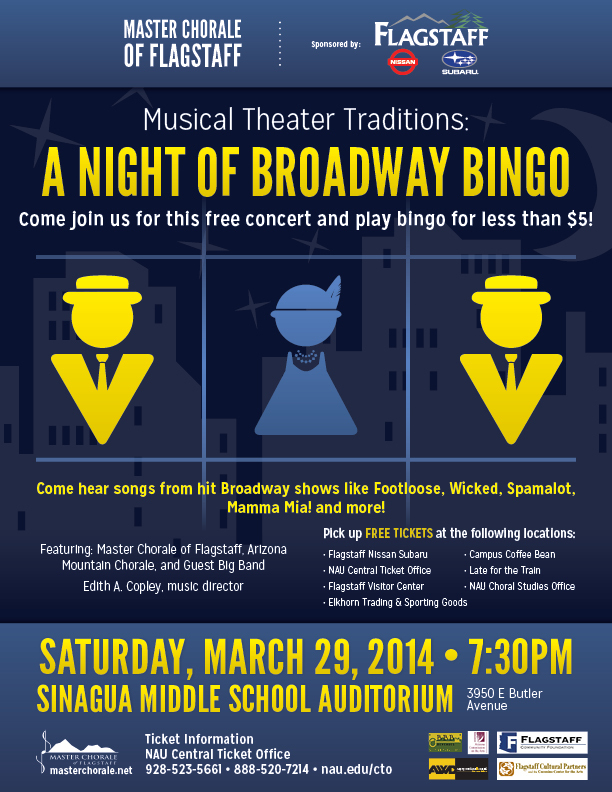 But then we started talking about things I actually care about, like the logistics for our upcoming Broadway Bingo concert and plans for our first chamber choir concert in April. And I began to wake up and contribute to the conversation. When it came time for my report as chair of the Fundraising Committee, I shared the work our team is doing with enthusiasm. I was proud to describe the different ways people are coming together to plan a cabaret night this summer – the first and biggest event of its kind for Master Chorale. By the end of my report, I was positively glowing inside. And that’s when I felt it: abundant life is making a difference in the world. I was energized because I was using my gifts (coordinating, organizing, encouraging) to help an organization I care about (my community chorus.) Jesus calls us to do more than just earn a paycheck. Jesus calls us to share our gifts with the world, and that’s where the abundance kicks in. Where are you using your gifts? Is there a non-profit that needs your talents? This Lent, if you’re looking for abundant life, you’ll find it in the place where your gifts meet the world’s needs. Blessings on your journey!